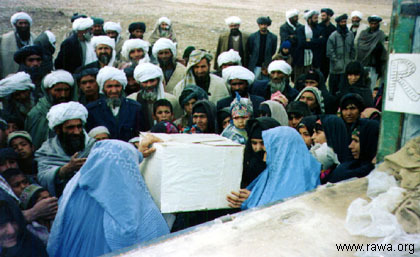 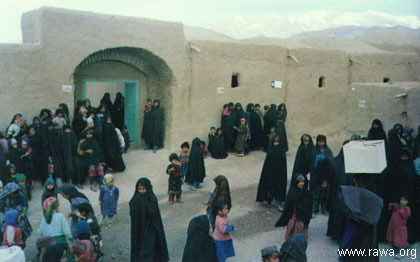 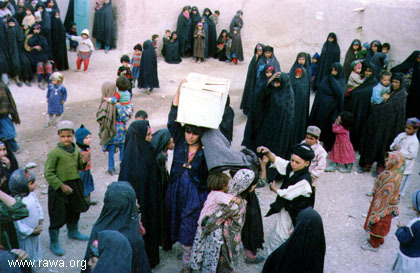 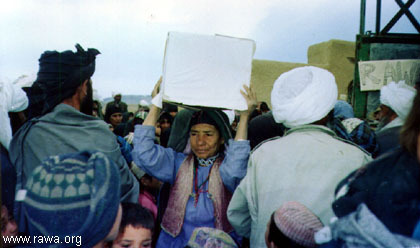 On Dec.2000, RAWA distributed hundreds of blankets and food among the most needy displaced people in western city of Herat inside Afghanistan. 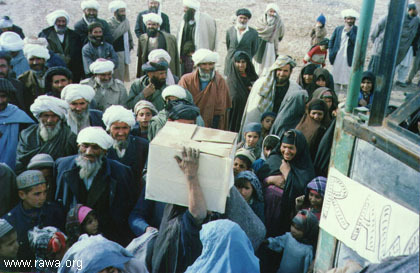 Some 500,000 people have become displaced inside Afghanistan and another 150,000 have fled to neighboring Pakistan since mid-2000. 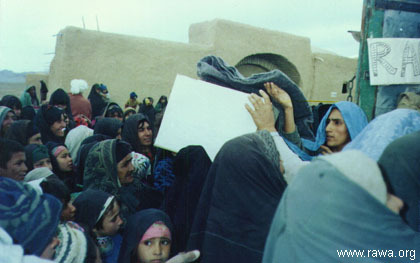 Hundreds of people, most of them children, die in several displacement camps around the old silk route trading center of Herat, where some 80,000 people have gathered in recent months after being driven from their villages by drought and war.